Hotel Pestana Cayo Coco Beach Resort is situated on an oceanfront lot in a prime location on one of the best beaches in Cuba. Its Cayo Coco’s newest hotel and thus benefits from the latest technology and trends in all-inclusive resorts. The hotel Pestana Cayo Coco 4 star “All Inclusive” features 508 rooms, 4 restaurants and 5 bars, all offering the best of national and international cuisine and a broad range of top shelf drinks. 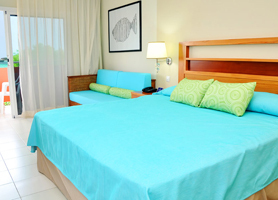 Pestana Cayo Coco is a contemporary modern design with colorful Caribbean but, typically Cuban lair. The a-la-carte restaurants offer a dining experience with multinational European dishes, along with traditional Cuban dishes once a week. For those who think gastronomy is all part of their vacation, Pestana Cayo Coco will certainly please all taste buds. Pestana Cayo Coco is a true tropical paradise with its own white sand beaches and calm turquoise waters, ideal for diving and to enjoy nature, because the destination is a real nature reserve surrounded by lush coral reefs and teeming fish and aquatic life. Pestana Cayo Coco Beach Resort is an incredible experience, thanks to its low level and expansive layout including; 11 buildings with 3 floors, 4 pools, 1 private beach, sailing, horseback riding, Junior Suites equipped with balcony, cable TV, Wi-Fi, air conditioning, hairdryer, safe and telephone. 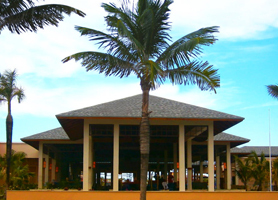 Pestana Cayo Coco Beach Resort also features 2 Conference rooms with capacity for 50 people each. Overall, Pestana Cayo Coco Beach Resort is a well located beach front hotel that offers European sophistication in both the design and gastronomic departments, perfectly blended with a faux colonial elegance, right on the seafront. Hotel Pestana Cayo Coco is usually in very high demand and, as such, should be booked in advance. Our booking program allows reservations at Hotel Pestana Cayo Coco without down payment or deposit which will guarantee your dates and also allows preferential modifications should your dates change in the future. Our booking process is unique because it shows the best rate from all of these for Hotel Pestana in Cayo Coco Cuba and the types of rooms available. 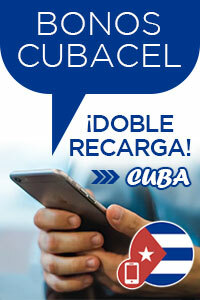 Our Hotel Pestana Cayo Coco rate comparison is an industry first for Cuban Hotels. Once you’ve compared the rates, finalizing the booking at Hotel Pestana Cayo Coco takes just seconds and an immediate confirmation is provided in real-time.